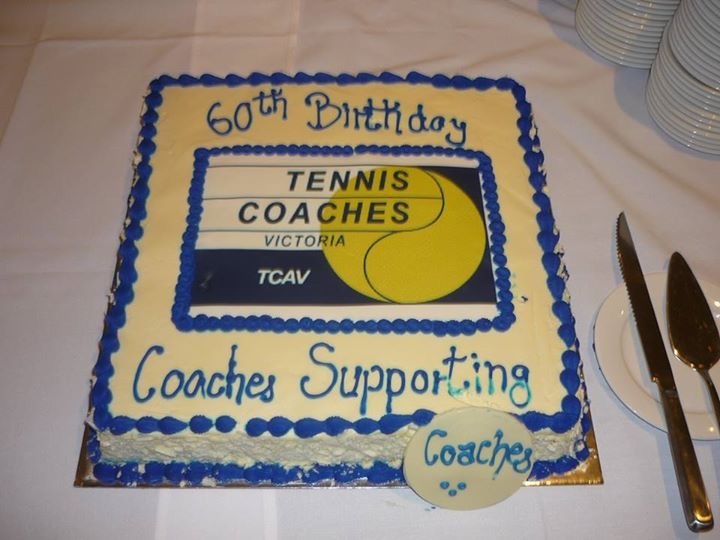 The TCAV is one of the world’s longest standing professional coach organisations…and very proud of it. 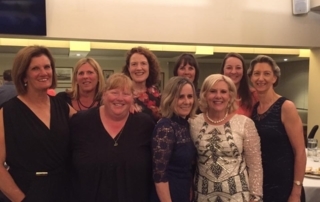 A fantastic representation of our membership both past and present and many distinguished guests attended this wonderful event in December at the Kooyong LTC, the birthplace of our Association back in 1956. 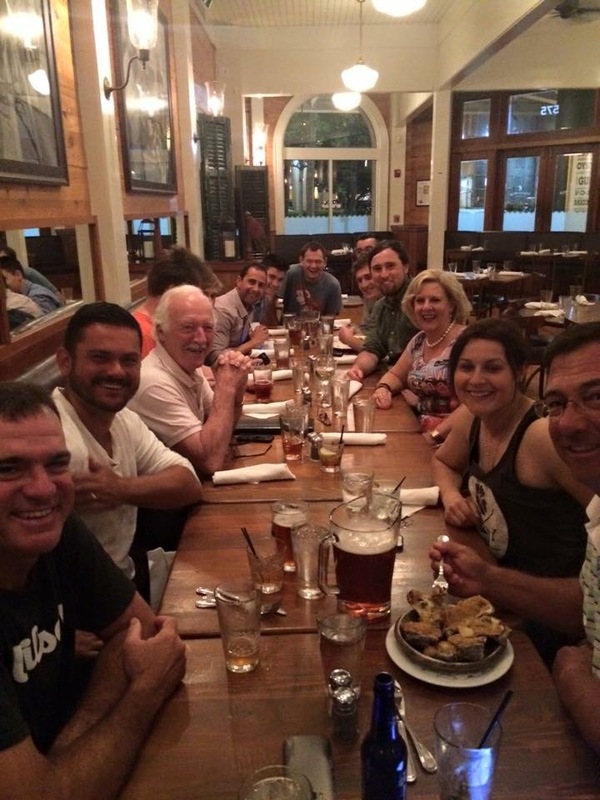 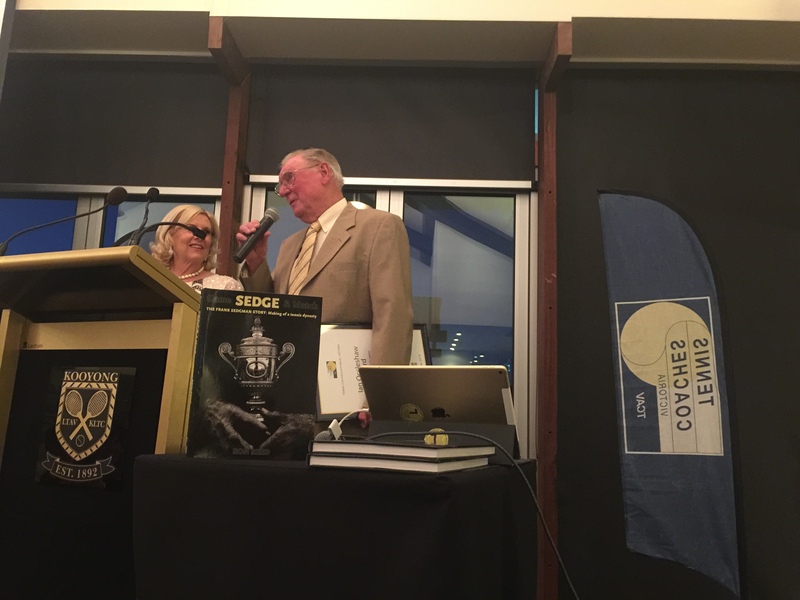 It is not easy to condense 60 years of extraordinary history into one evening. 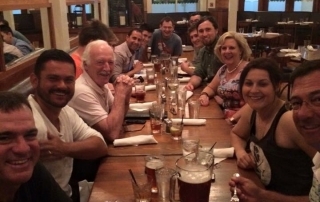 Hello my fellow TCAV members. 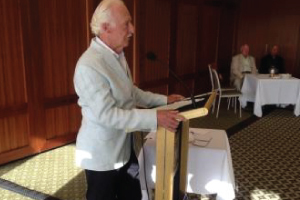 I am honored to have been re-elected President at our recent 2016 TCAV AGM. 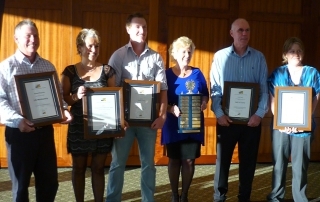 I have attached above my Presidents report for 2015/16 and hope to add more value in the ensuing year. 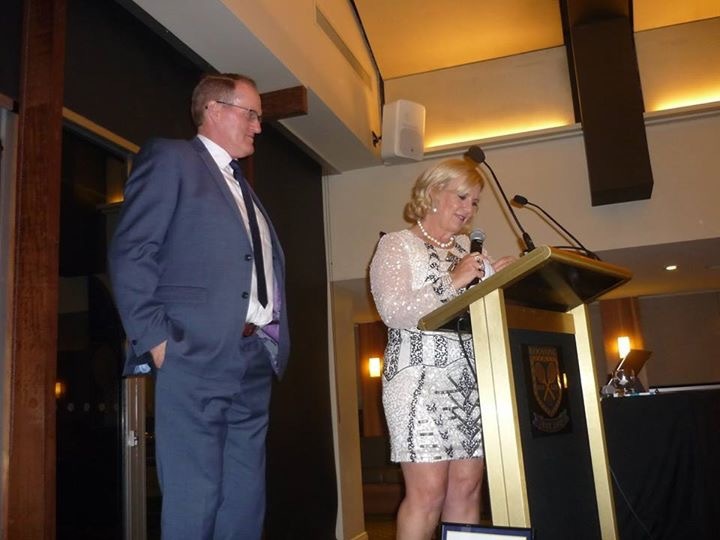 I thank those in attendance at the AGM for awarding me Life Membership. 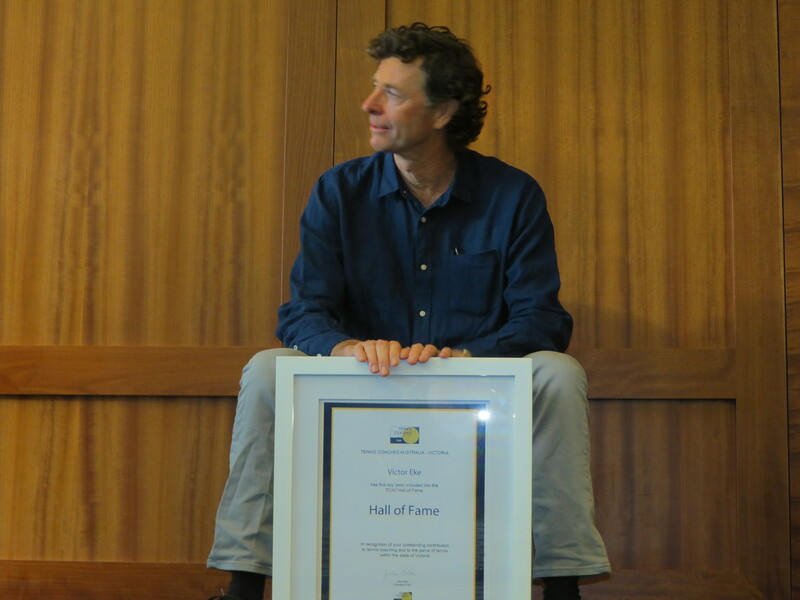 I am very humbled to follow in the footsteps of many of my mentors, and it is greatly appreciated. 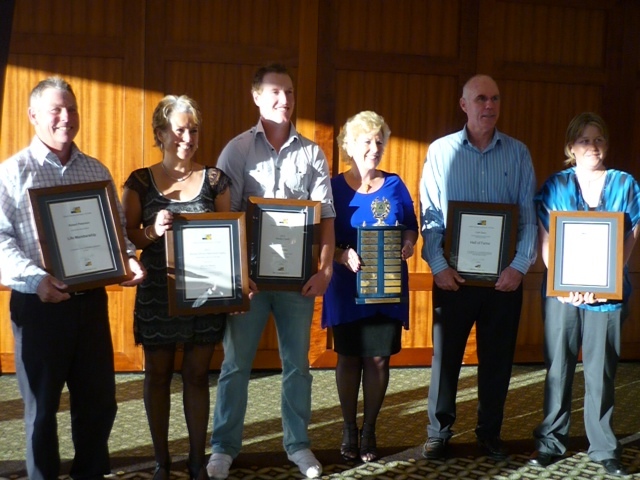 Board members Tim Connelly, Robert Peterson and Richard Bruce-Smith were all re-elected for a further 2 year term. 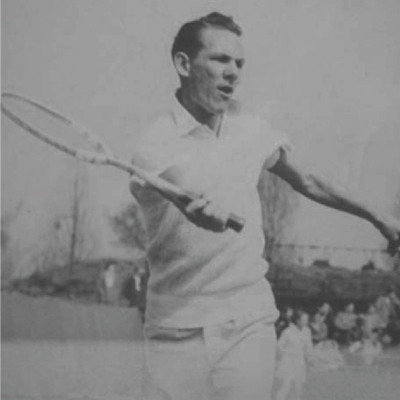 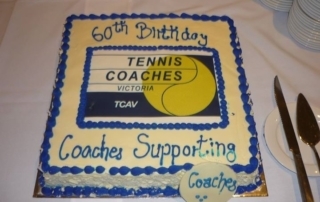 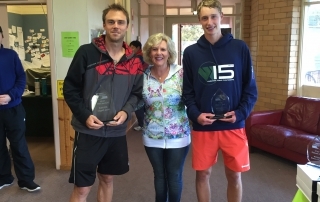 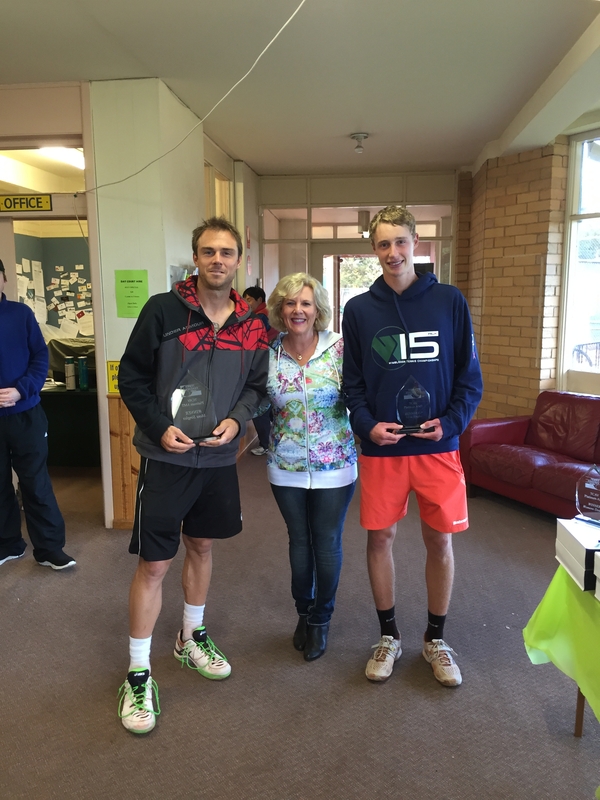 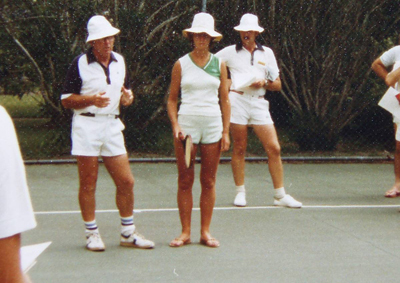 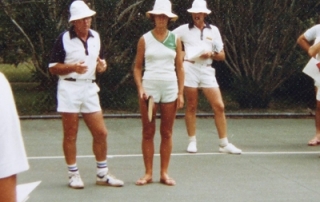 Tennis Coaches Australia – Victoria is proud to celebrate our 60th Year in 2016. 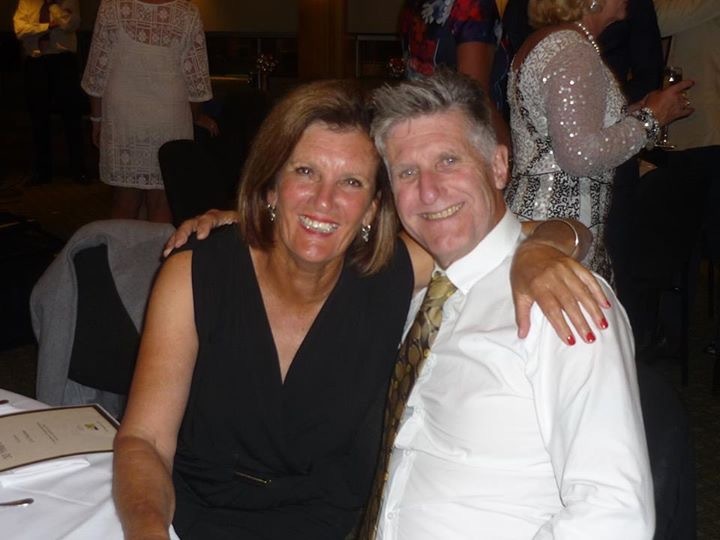 As part of our birthday celebrations, we will be holding a special evening at the Kooyong Lawn Tennis Club on Saturday 3rd December 2016. 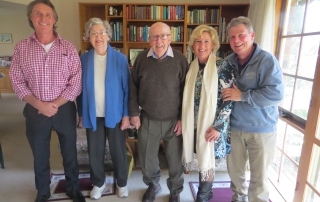 Our TCAV members and guests are warmly invited to join us to celebrate this milestone. 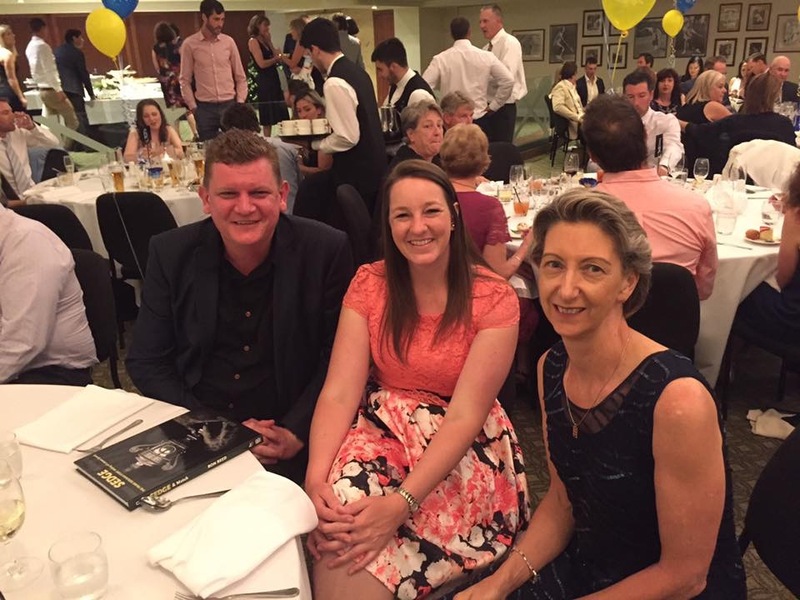 Congratulations to Julie Fidler for her successful nomination having just been announced a finalist at this year’s Newcombe Medal to be held at Crown Casino. 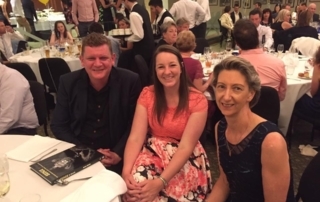 Julie has been shortlisted in arguably the most important category of Volunteer Achievement. 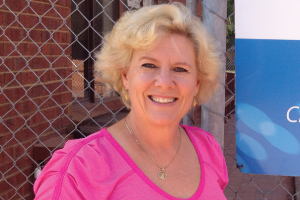 To read and witness Julie’s history as a volunteer is breathtaking and she would be a most deserving winner. 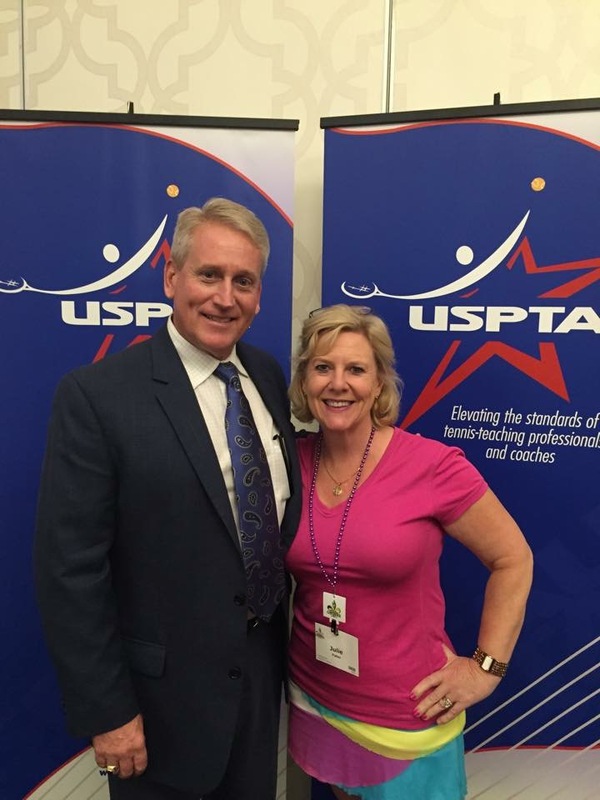 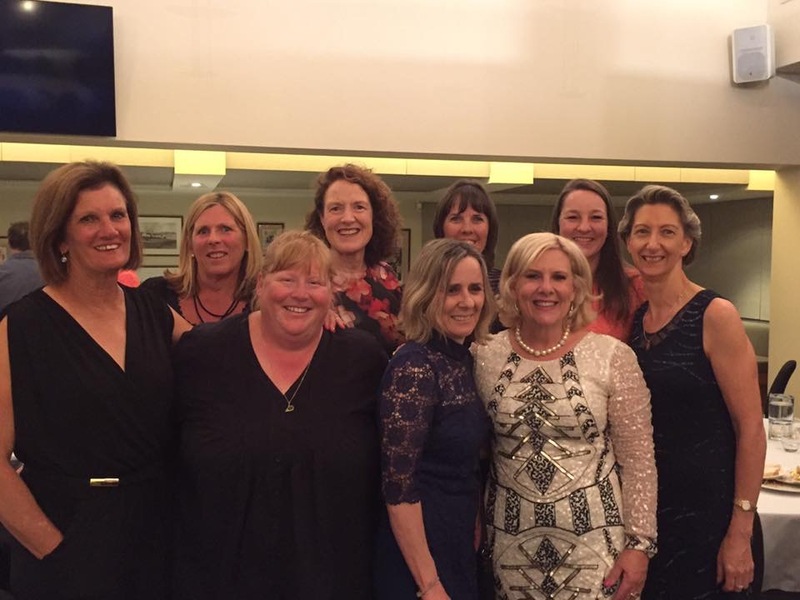 On behalf of all TCAV members and the coaching industry we wish Julie ultimate success on the night. 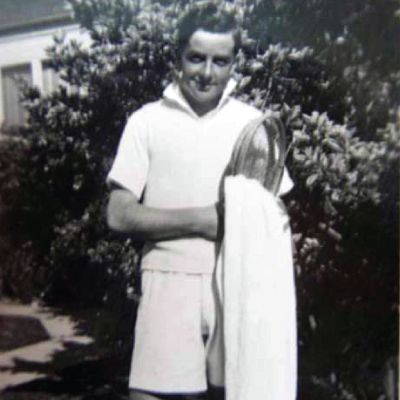 It is with great sadness that we must announce that TCAV Legend Mr. Ian Occleshaw passed peacefully 0n March 29th. 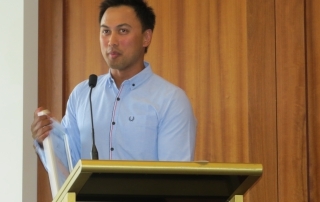 The funeral was held in the Boyd Chapel on April 1 at the Springvale crematorium. 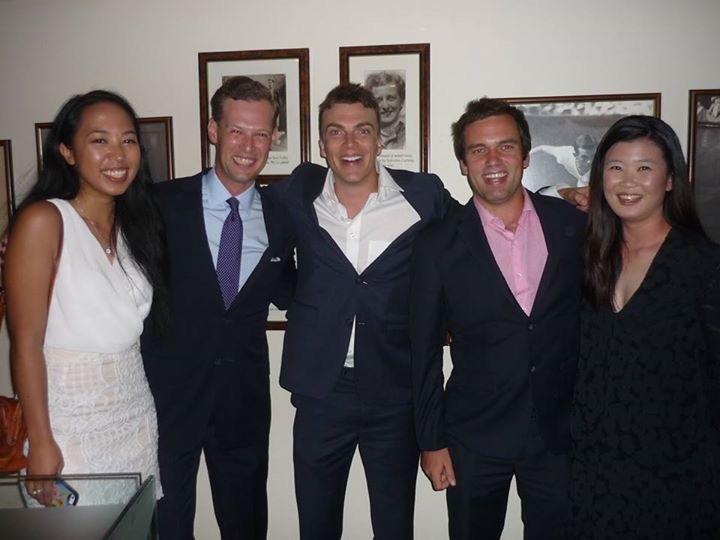 It was a beautiful service attended by family, friends, and broad representation from across the tennis community. 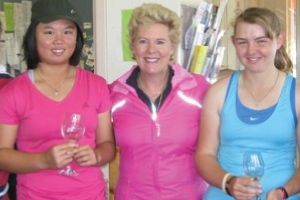 Our hearts, thoughts, and best wishes go out to Marie and family. 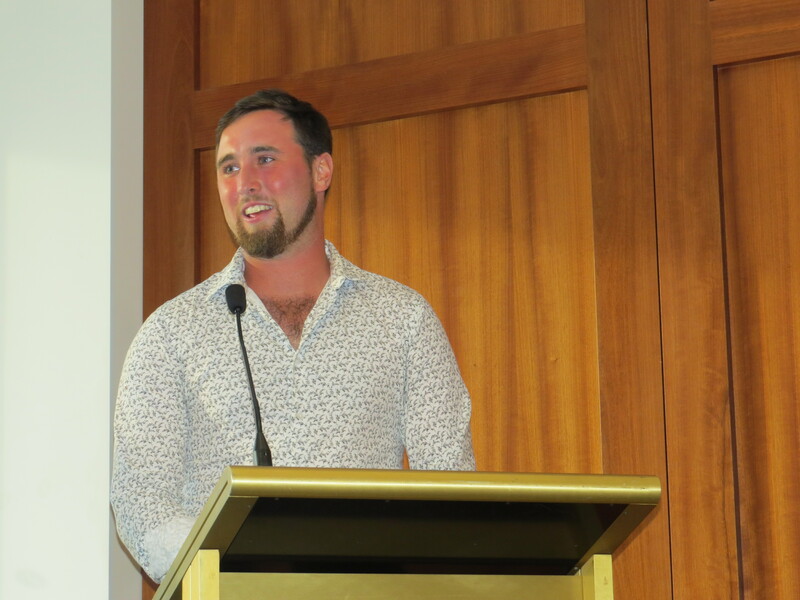 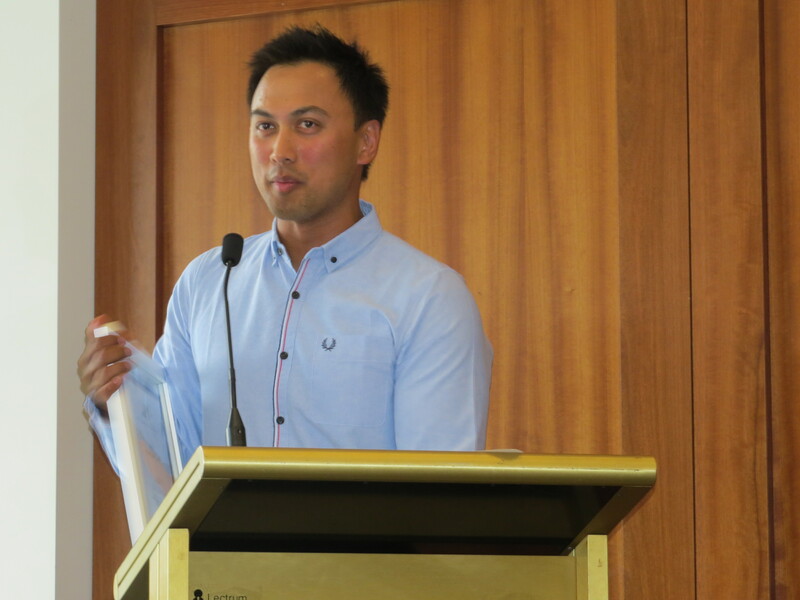 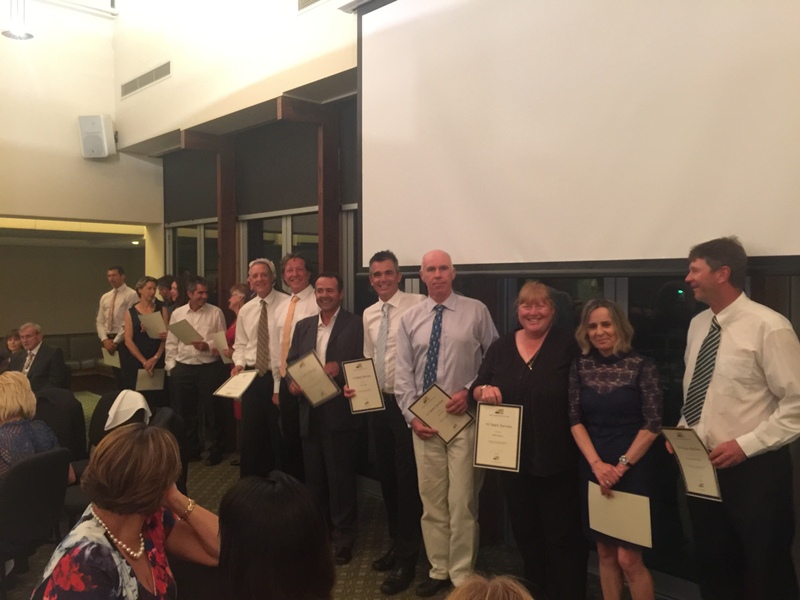 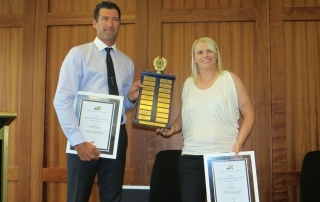 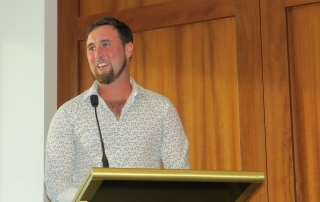 Melbourne’s leading and upcoming coaches were honoured and recognised at the annual awards night at Kooyong LTC. 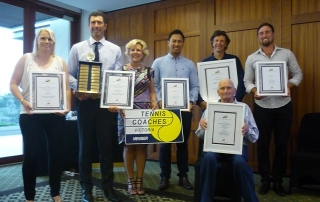 Victor Eke delivered a truly inspiring and passionate speech at these prestigious awards and was visibly overwhelmed to be inducted into the TCAV Hall of Fame with other great coaches he looks up to. 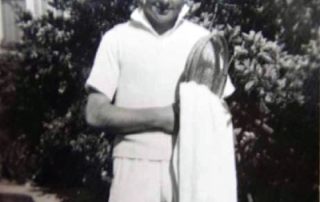 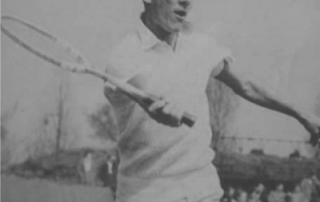 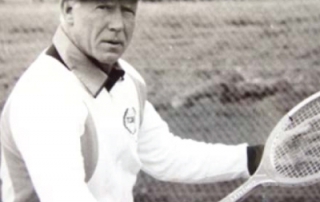 He made special mention of TCAV Legend Norman Cahill who gave him his first coaching position in Melbourne. 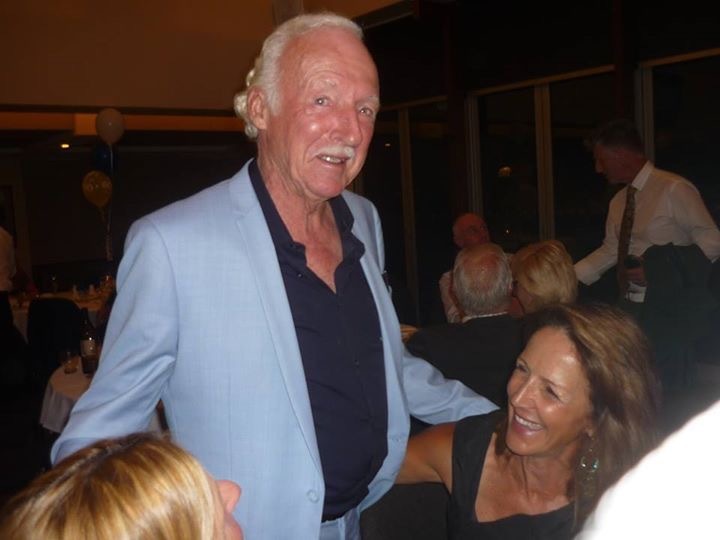 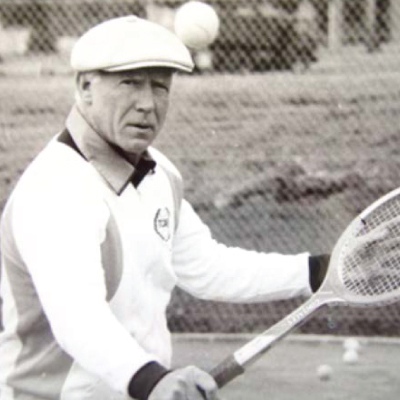 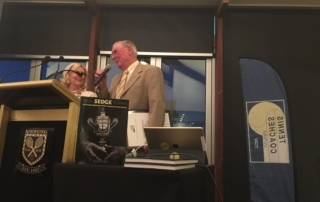 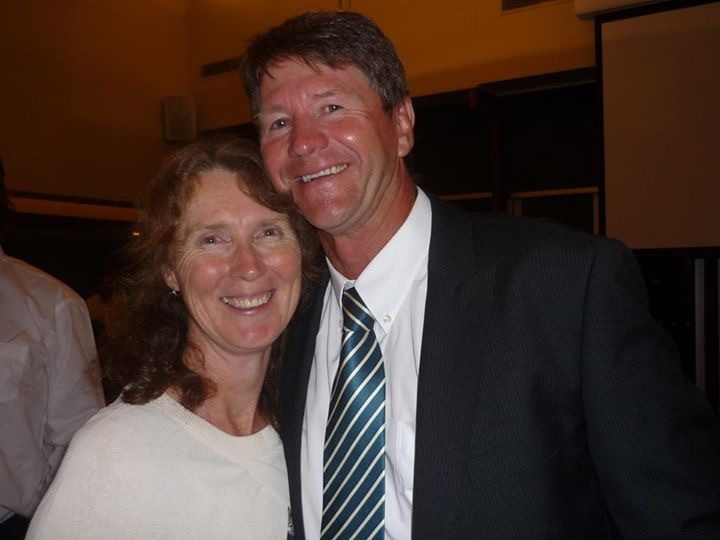 Former TCAV Board Member and Kooyong Committee member Fred Murphy was honoured by Tennis Victoria with a Service Award at the TCAV Awards night recently. 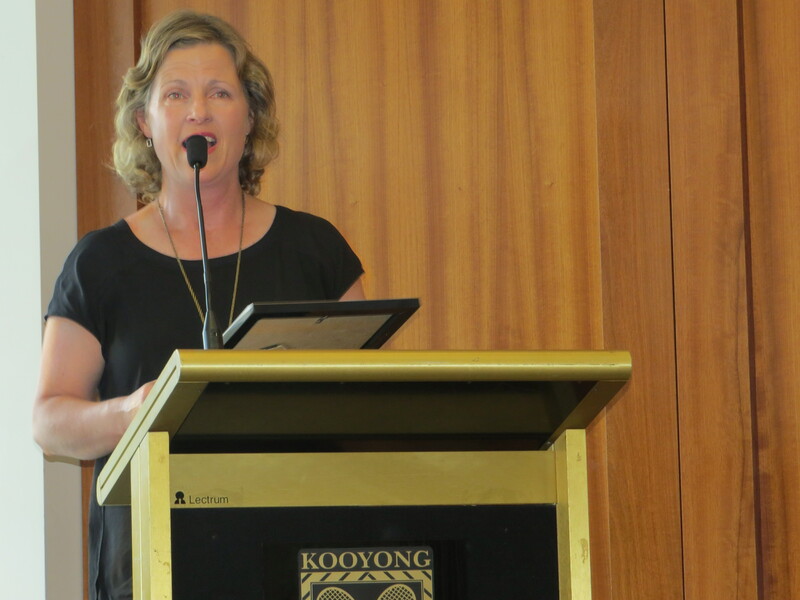 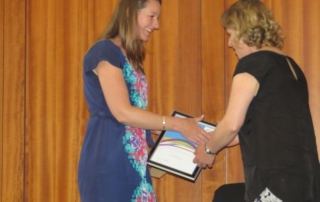 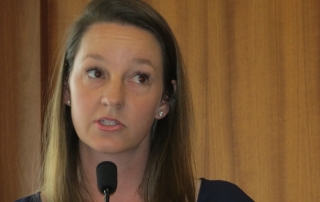 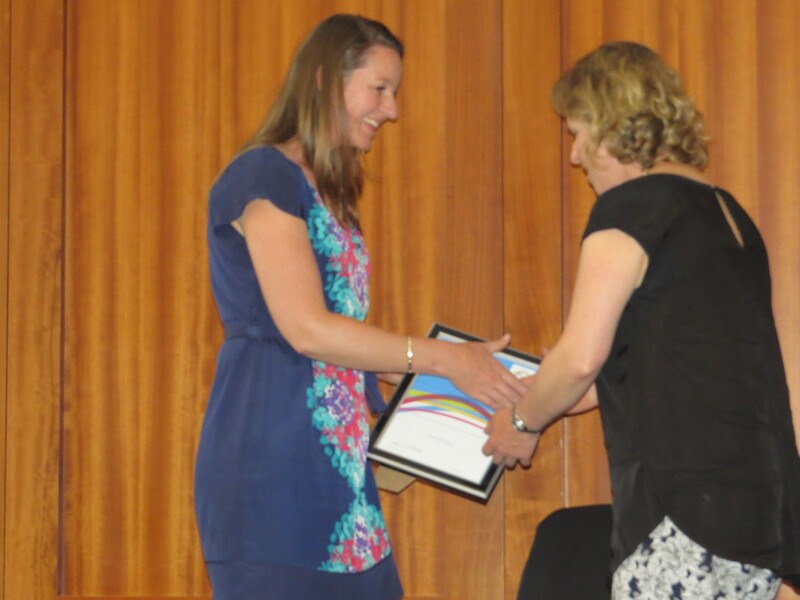 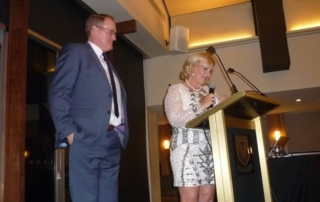 Fred unfortunately passed away a couple of years ago so the TCAV and TV were delighted to have Fred’s daughter Alison accept the award from Tennis Victoria Executive Manger of Community Tennis Belinda Kleverlaan. 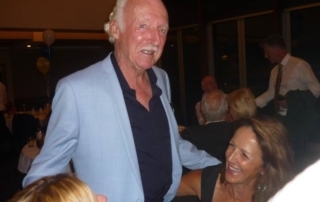 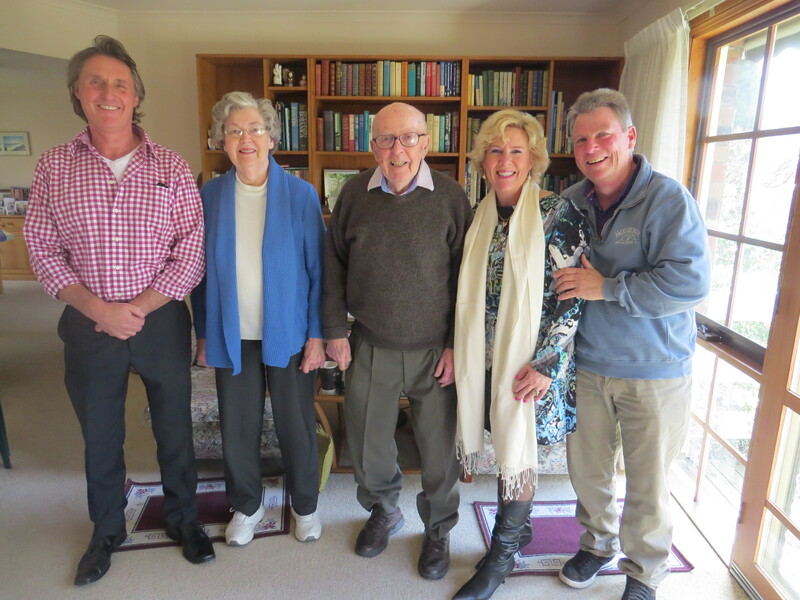 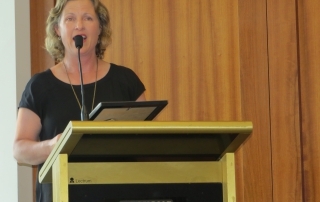 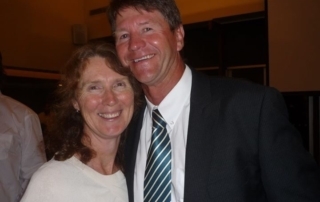 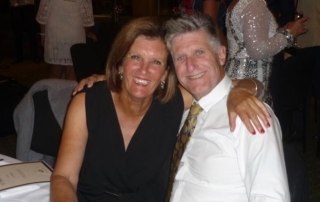 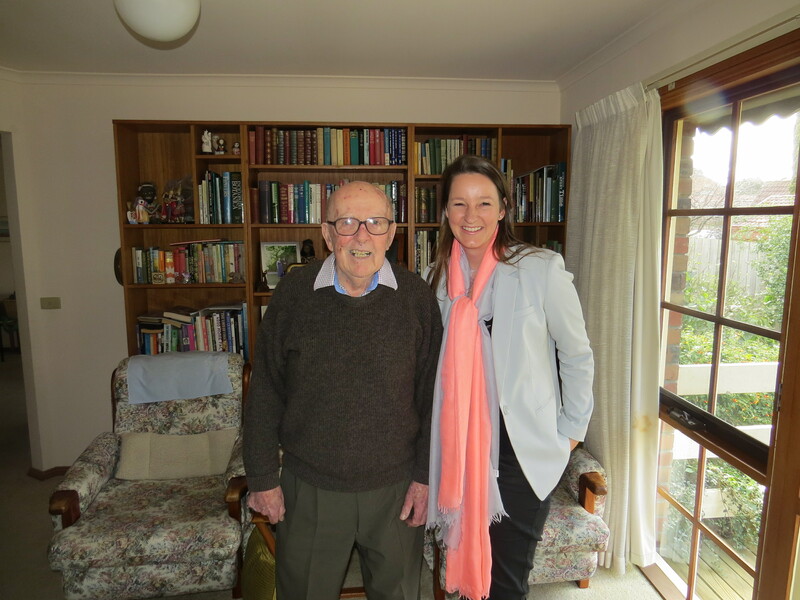 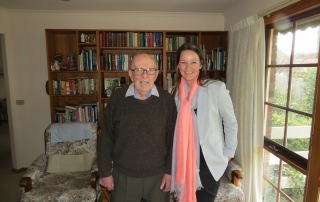 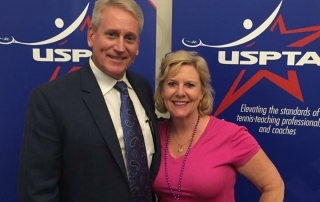 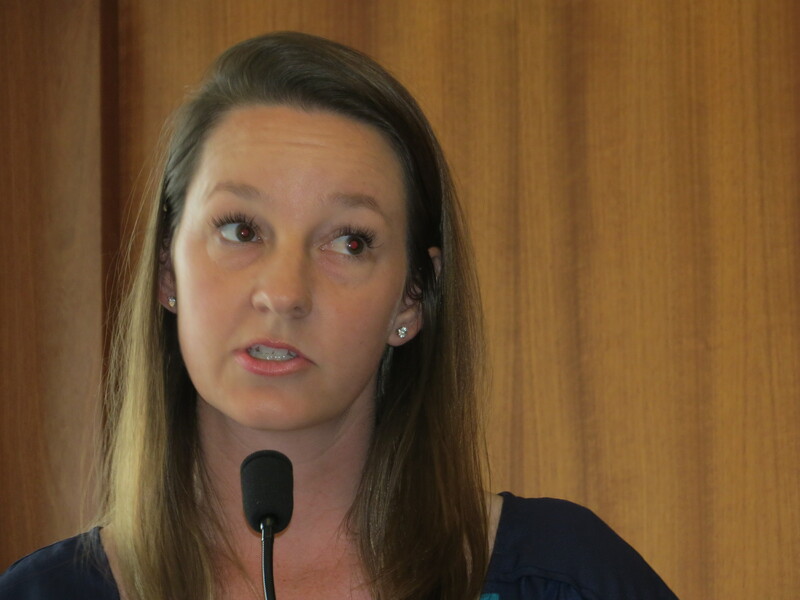 Alison expressed how tennis was such a huge part of Fred’s life and this was no surprise to 100 or so guests who shared in or benefitted from many of Fred’s experiences and enormous contribution to tennis. 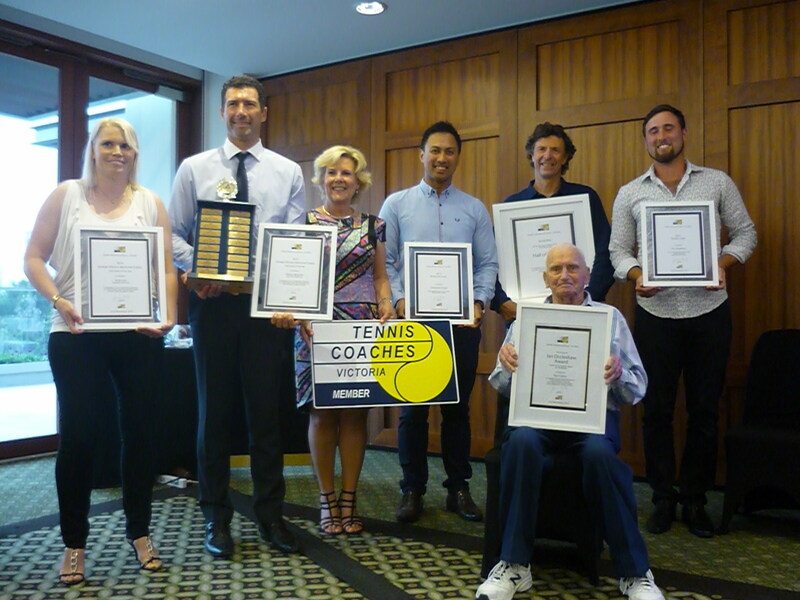 TCAV will soon be holding our annual Awards night ceremony to be held at Kooyong Lawn Tennis Club on Sunday 23rd November 2014. 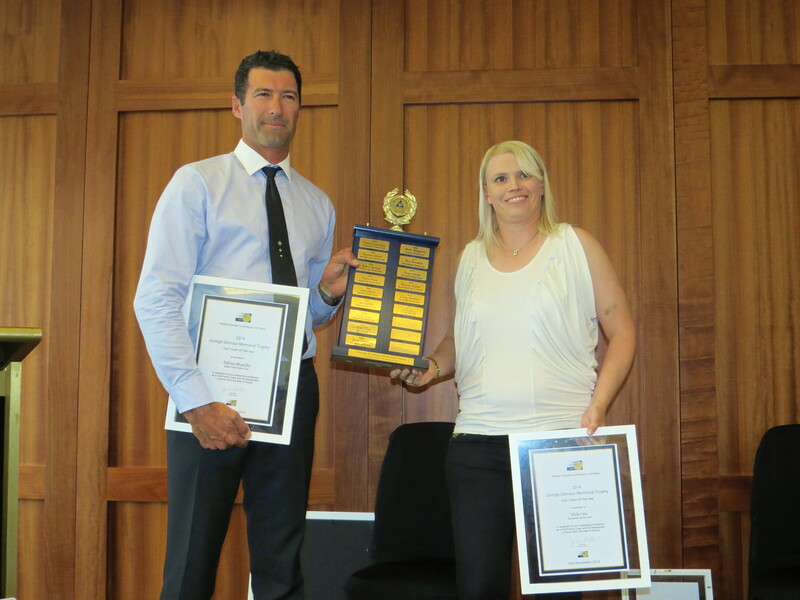 The TCAV Board of management will invite nominations for the following awards. 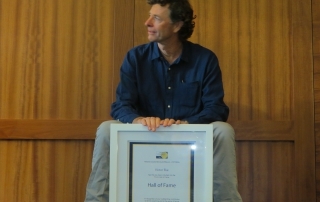 Ian Barclay was inducted into the TCAV Hall of Fame at Kooyong for his amazing contribution to the profession of tennis coaching and to tennis in general. 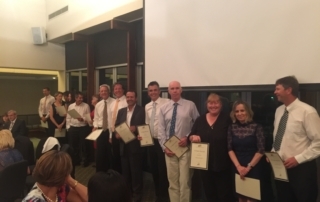 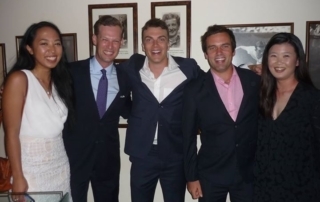 Held at the Kooyong Lawn Tennis Club on Sunday 24th November 2013, the award night provides recognition for contribution to tennis coaching and the game of tennis in Victoria.